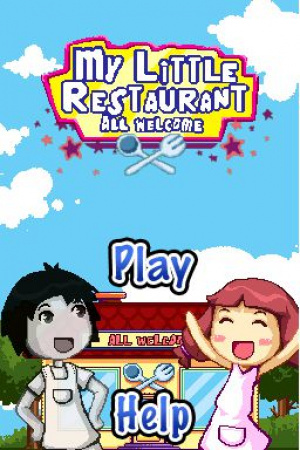 There's really no point in beating around the bush about it: My Little Restaurant is Diner Dash in disguise. In fact, if it wasn't for the different sprites, the two would be virtually indistinguishable. But while it's hard to sing praises to something so unoriginal, the fact still remains that as of now there's no Diner Dash game on DSiWare — though there is the similar Pucca Noodle Rush in Europe — and while the folks at QuibicGames haven't done much to change up the gameplay, they haven't done much to screw it up either. It's not original by any means, but those looking for some solid time-management gameplay might want to give it a look. You will have to force yourself to sit through some wholly mediocre anime cutscenes, though. They attempt to create some sort of narrative to drive the game, but with a premise so thin and with such little effort put into the scenes, you have to wonder why the team even bothered. The real trouble with these scenes is that they distract from the gameplay, which is undeniably solid. Anyone who has played a Diner Dash game will know exactly what to expect, but here's a primer for those who are unacquainted. Basically, your goal is to manage your time properly. When customers walk into your restaurant, you'll want to seat them, serve them and clean up after them promptly; every customer has a star meter over their head that drains the longer they have to wait, and the longer they have to wait, the more their happiness and tips will decrease. It starts out fairly simply, but the difficulty jumps up pretty early on, which is a good thing, because serving and managing a restaurant full of impatient customers proves to be fast-paced, fun and addicting. The game controls fairly well with the DSi's touchscreen. You use the stylus to “drag-and-drop” your customers to the table, but other than that you mostly just use it to tap different locations in the restaurant to travel to (tables, kitchen, etc). 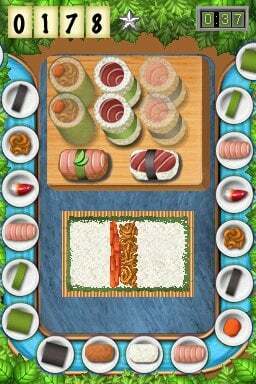 The main irritation comes from the fact that many of the restaurants don't fit entirely onto the bottom screen, so you'll either have to scroll the screen with the stylus or the directional pad. 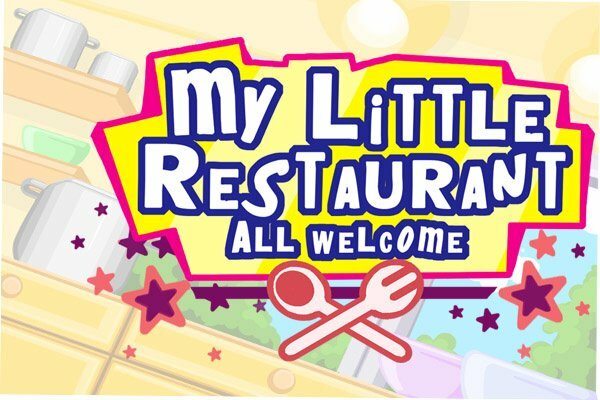 This isn't a problem in itself, but the game doesn't do a great job of telling you exactly how big your restaurant is as it expands; as a result, you may have two or three more sections added onto your restaurant without your knowledge, leaving you scrambling unnecessarily to seat customers that could be seated easily had you known about the added space. In addition to the decent number of primary levels there are also some side challenges that have you, among other things, assembling cheeseburgers from a scrolling pile of ingredients. These levels manage to capture some of the frantic nature of the main game, but they end up feeling a little mundane by comparison. Aside from being able to choose between a male and female avatar, there's really not a whole lot in the way of “extras” with this one. You've got your standard levels, your eight or so cheeseburger challenges, and that's it. No multiplayer, online scoreboards, or scoreboards of any kind really. 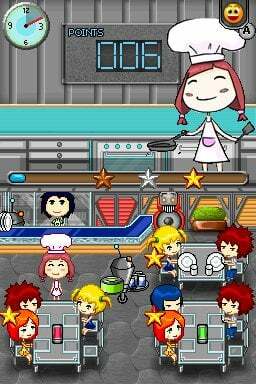 My Little Restaurant is a tricky one to score. While it's clearly heavily inspired by Diner Dash, it manages to pull it off pretty well. 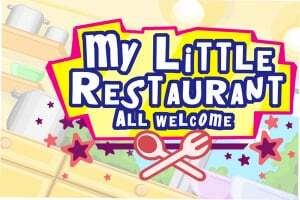 A few quirks notwithstanding, My Little Restaurant is a mostly quality time-management game that makes good use of the touchscreen and offers enough levels to keep you busy for a pretty long time. Excellent tagline, and helpful review. I might actually download this at some point, to fill that management-game hole in my collection. The official port of Diner Dash to the DS (released several years ago) was evidently a terrible port, so it's good to see that a $5 alternative exists. Ho hum. Another cheap iphone-esque game that is plaguing the video game market today. Thanks wario. I wasn't aware that the DS retail port was terrible, but I figured $5 beats $30 almost every day of the week since the games are virtually identical. I might give this a whirl! Sounds a little like airport mania if I'm not mistaken! Nice review kid_A!! Hospital Havoc is another similar alternative. Hm....maybe. Kinda hate to get this one because it would leave me with only 100 nps left. Later probably. can yall review Panic Restaurant?